No 28 Garrai de Brun. Colleran Auctioneers has just been favoured with the sale of No 28 Garrai de Brun, Fort Lorenzo, a spacious four bedroom semidetached home tucked away in a small private development with all houses facing large secure green areas, making this a must see home for young families. Built in the late nineties by Brennan Brothers, Garrai de Brun set the standards for others to follow. Located just off the Western Distributor Road, you are spoilt for choice with every necessary amenity on the doorstep including some of Galway's finest primary and secondary schools, shopping centres, parks, tennis club, Salthill Promenade, NUIG, and UHG all within walking distance. The quality spacious accommodation includes entrance hall with attractive maple floor and downstairs guest toilet, sitting room with feature cast iron fireplace and maple floor, bright spacious kitchen/dining room, and separate utility. On the first floor there are four bedrooms, two doubles and two singles, with master bedroom en suite, and tiled main bathroom. One of the many extras with this house is its corner site, offering a larger back garden than most. The back garden is elevated, not overlooked, and west facing so full of sunshine from afternoon to sunset. If you are looking for a quality home that is a little different then No 28 Garrai de Brun could be the one you are waiting for. Guide price is €325,000. 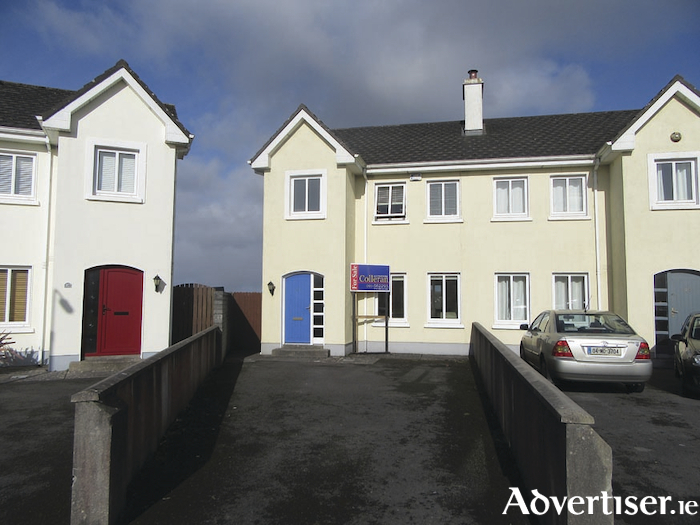 Open viewing takes place this Saturday from 5pm to 5.30pm.